His title will be proudly printed across his chest with our personalized t-shirts. 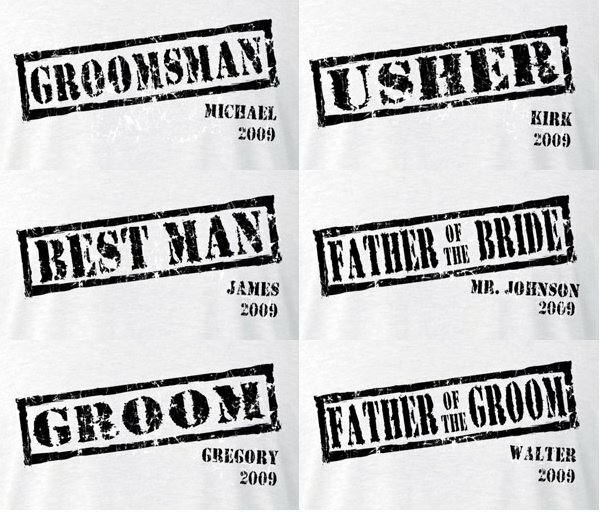 Available for all men - young and old - in the wedding party, each durable micro-fiber and spun poly tee is personalized with his first name and the year of your wedding. Identify your guys for the wedding rehearsal and beyond. 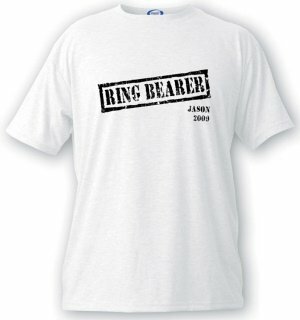 List of available designs include the father of the bride or groom, and even the ring bearer!